I was sent here because of a boy. His name was Reeve Maxfield, and I loved him and then he died, and almost a year passed and no one knew what to do with me. A group of emotionally fragile, highly intelligent teenagers gather at a therapeutic boarding school where they are mysteriously picked for 'Special Topics in English'. Here, they are tasked with studying Sylvia Plath's The Bell Jarand keeping a journal. Each time the teens write in their diaries they are transported to a miraculous other world called Belzhar, a world where they are no longer haunted by their trauma and grief - and each begins to tell their own story. From internationally bestselling author Meg Wolitzer, and published by John Green's editor, Belzharis a breathtaking and surprising story about first love, deep sorrow, and the power of acceptance. Meg Wolitzer's novels include The Wife, The Position, The Ten-Year Nap, The Uncoupling and The Interestings. The Interestings, published in August last year, was a New York Times bestseller and compared to the likes of Jonathan Franzen's Freedom and Jeffrey Eugenides' The Marriage Plot. 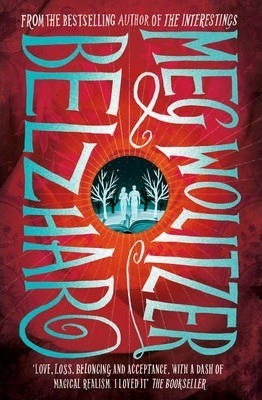 Visit her at megwolitzer.com or follow her on Twitter at @MegWolitzer.